Hearing loss has been a problem for as long as humans have been around and because hearing loss affects people’s ability to connect and form relationships with others, “Hearing aids” were quickly developed to help those who could not hear. In the 1700’s ear trumpets were developed to help people with hearing problems. The trumpet gathered sound waves and directed them down a metal tube into the ear. The shape of the ear trumpet provided minimal amplification of the sound and some users benefited from this. In the 1870’s Alexander Graham Bell electronically amplified sound in his telephone using a carbon microphone and battery, a concept that was adopted by hearing aid manufacturers. In 1886, Thomas Edison invented the carbon transmitter, which changed sounds into electrical signals that could travel through wires and be converted back into audible sounds. This technology was used in the first hearing aids. In 1925 Siemens developed the first carbon hearing aid featuring a carbon microphone. The advent in the 1920’s of vacuum tube hearing aids were generally table models or carried around in large boxes. . After the mid 1930s, body worn hearing aids became available, but because of the size of the batteries, the hearing aids and battery packs were separate. As battery technology improved hearing aids with built in batteries were developed. The first transistorized hearing aid was introduced by Maico Electronics Inc, USA, in January 1953. It heralded a new era in hearing aid technology and lead to the miniaturisation of hearing aids going forward. The first on the ear hearing aids were introduced in the 1950’s and were built in all shapes and sizes. The hearing aid was worn behind the ear and the sound was presented to the ear canal by an ear mould which sat in the ear. In-The-Ear hearing aids were developed in the 1960’s. In 1965 Telex Communications Inc introduced the Model 23 Electron Ear. One of the first truly in the ear hearing devices. Through out the 60’s 70’s 80’s and 90’s further miniaturisation of technology and as a result hearing devices continued. In 1995 the first digital hearing aids were introduced and advances in digital hearing aid technology continues today. Hearing aid technology is constantly evolving and becoming increasingly advanced. 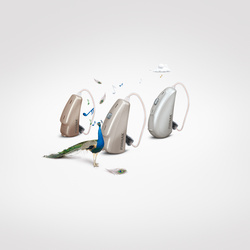 Hearing aids are constantly being refined and developed to provide better reproduction of natural human hearing.The development of better fitting algorithms, microphone and receiver components, allows for increasing numbers of sophisticated features to be built into the hearing aids and provide improved sound reproduction. The most advanced modern digital hearing aids are constantly analyzing the sounds of your environment and changing between built-in programs, automatically selecting the appropriate programming mode for the specific situation.The latest inter-aural wireless technologies lessen the wearing effort of the hearing aid user therefore improving the outcome of a hearing aid prescription. 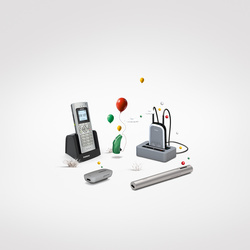 Various bluetooth accessories can help connect you and your hearing aids to the world around you. Your ISHAA registered and qualified hearing aid audiologist will advise and help you choose a hearing system which suits your lifestyle, budget and individual needs.